My boyfriend of 6 years dedicated this song to me after a three month break-up. We're back together stronger than ever! My husband was listening to this song everyday. I popped it in my car.... now I know why. Now this is hot! This is the song that I will be walking off of to be with the man of my life for the rest of our lives. I will march in on this song at my wedding on April 30th 2011!! My fiance is 60 years old and this is his first marriage. 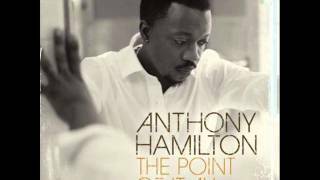 i love this song mr.anthony it is a powerful song if u can relate to it and i can.keep making beautiful songs. I know you are singing about your lady love, but it describes my feelings for my man. We need more songs like this, but about men.